The cricket world has witnessed an infinite number of cricketers with special abilities over the time and a lot of them are serving the game presently as well. Pertinently, Indian cricket has also produced some extraordinary players who ruled the world for a long time. Plenty of them also changed the way how people look at this game. One such scintillating stalwart is Virender Sehwag who left a mark in the cricket world with his fearless batting. The opener displayed his distinctive skill of going after the bowlers from the very first ball, earning him a top place in the heart of cricket enthusiasts. The right-handed batsman survived for about thirteen years in international cricket, scoring over 8000 runs in both Test and ODI cricket. Apart from his great contribution to the national side, the Nawab of Najafgarh also entertained the fans in the Indian Premier League (IPL). He played some fine T20 knocks in his eight-year reign in the tournament. In this piece, we recall three of his best innings in the history of IPL. 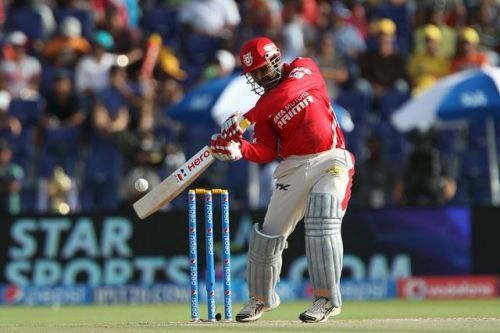 In the maiden edition of the Indian Premier League (IPL), Virender Sehwag, while leading the Delhi Daredevils, played one of his finest knocks against the Deccan Chargers. Batting first, the VVS Laxman-led side posted meager 142 runs on board, largely due to swashbuckling 36-ball 66 runs by Rohit Sharma. In reply, Delhi lost Gautam Gambhir early, however, Sehwag made sure to keep the scoreboard ticking. He looked in superb touch and gave bowlers a hard run as he went on to hit ten fours and six sixes in his match-winning knock. The right-hander smashed 94 runs in mere 41 balls to steer his team to a dominating victory of nine wickets, making him win the Man of the Match award as well.